« Could Iran’s Missiles Do the Unthinkable: Sink a U.S. Navy Aircraft Carrier? 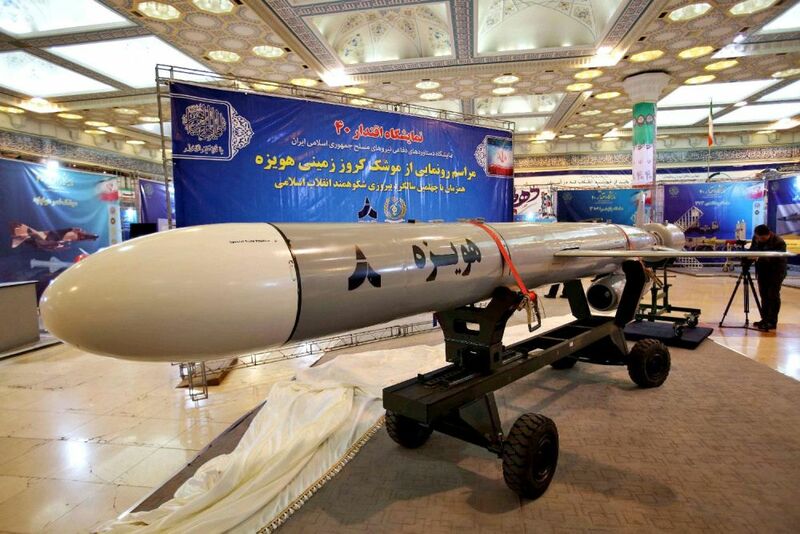 Iran has made rapid strides towards developing a medium-range missile for attacking Israel in three tests launches in recent weeks. In the first, on Dec. 29, a Fajr 5 was aimed at central Israel; three weeks later, on Jan. 21, a Fatteh 100 was fired towards the Golan (and was intercepted); and in the last one, marking the 40th anniversary of the 1979 Islamic Revolution, a cruise missile was hailed by Iranian Defense Minister Amir Hatami as accurately hitting its intended target at 1,200 km. This is the distance from Iran to Israel. This entry was posted on February 3, 2019 at 10:00 AM and is filed under Uncategorized. You can subscribe via RSS 2.0 feed to this post's comments. You can skip to the end and leave a response. Pinging is currently not allowed. The word “proxy” must be eliminated from Israel’s vocabulary. IF Iranian ordnance falls on Israel, even if it is launched from another galaxy, the retaliation should be directly against Iran, not some droogies in Lebanon, Syria… The triggerman and the person who hires him are both charged with first degree murder.